!!! TODAY WE CLICK IT FOR THE MOMS !!! 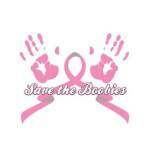 Just Click on the Link below and then on the link to donate a free mammogram to mom’s in need!